For all Islay whisky fans this time of year is the best time of year. The annual Fèis Ìle is well and truly under way, with all singing and all dancing events taking place around the island. Lots of fun, lots of whiskies and at the moment lots of sun! Sadly I was unable to attend this year (damn work! ), but for myself, and all others unable to make it out to the island, there is a solution from the good folks at Ardbeg. 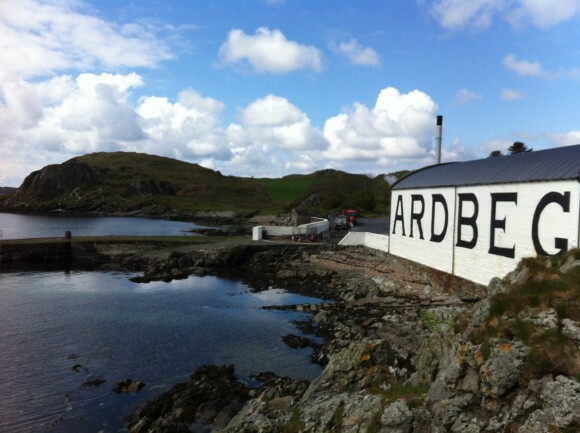 This year the Ardbeg team have declared that the 2nd of June will be Ardbeg Day! A very good day indeed! As well as having the traditional celebrations at the distillery they have created opportunities worldwide for people to join in and celebrate on the same day as the magic is occuring at Ardbeg. From Australia to Taiwan there are events taking place at your freindly neighbourhood Ardbeg Embassy! So if you are a part of the Ardbeg committee (free to join) just pop in to your local Embassy for a chance to try the Ardbeg Day release. It is a mighty, mighty delicious dram created to celebrate the inaugral Ardbeg Day events (and the EWB notes will follow). For the embassies here in Edinburgh just head to either Royal Mile Whiskies or the Whiski Rooms on the mound to find your Ardbeg Day frivolities! Jason should be working at Whiski so be sure to keep an eye out for him, and no doubt myself or some the others will be floating around! Do feel free to leave us a comment below if you have exciting plans for the day and no matter where you are in the world I hope you enjoy the celebrations as much as Im sure I will. This entry was posted	on Monday, May 28th, 2012 at 9:42 am	and is filed under Events, Featured. You can follow any responses to this entry through the RSS 2.0 feed. Responses are currently closed, but you can trackback from your own site.